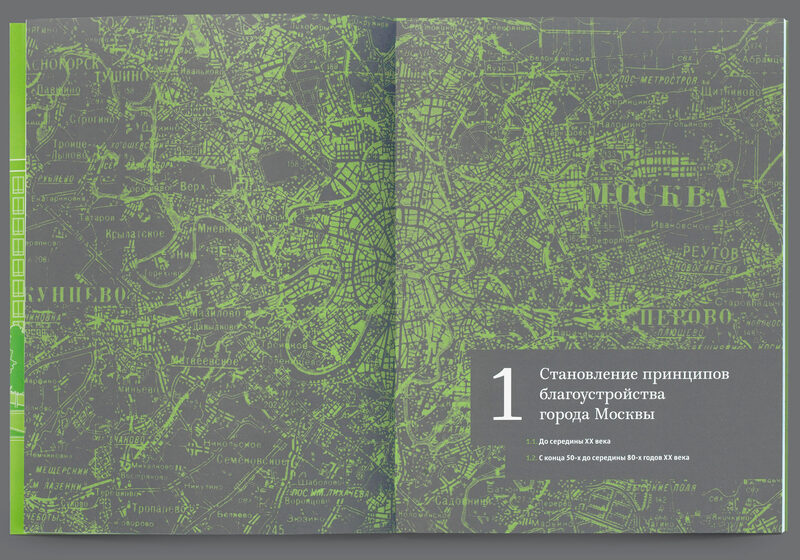 Task: to design a cover for a book on city planning. Since 2017, Moscow has been undergoing a major renovation: the old five-story buildings are being demolished and new modern homes with comfortable courtyards are being built in their place, complete with children’s playgrounds and sports facilities, recreational areas, plants and other pleasant details. The renovation is carried out in different ways: in some areas, old buildings are completely eradicated and replaced by trendy self-sufficient urban blocks, while in others the new houses coexist with the old ones. 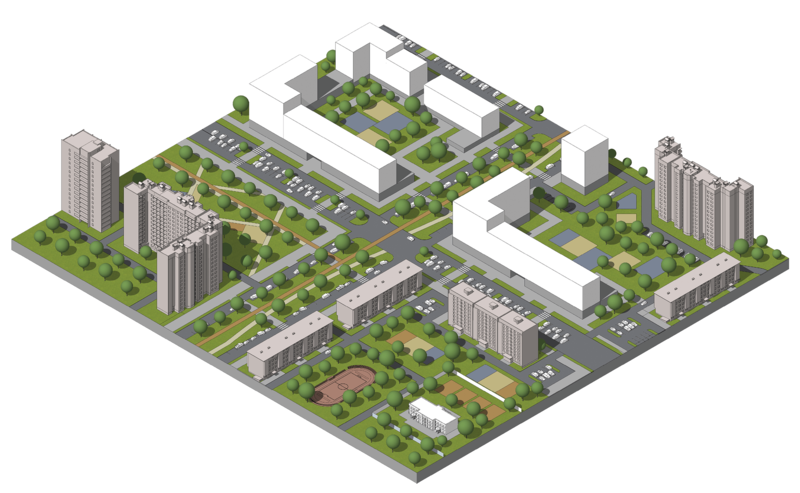 Moscow Mayor Sergei Sobyanin and the Government of Moscow have set a goal to expand the comfort zone of Muscovites from their apartments to the entire city. The new and diverse urban situation requires new approaches to city planning. Together with the Main Architectural and Planning Directorate, the Committee for Architecture and Urban planning has developed a series of planning ideas and decided to present them for public discussion. 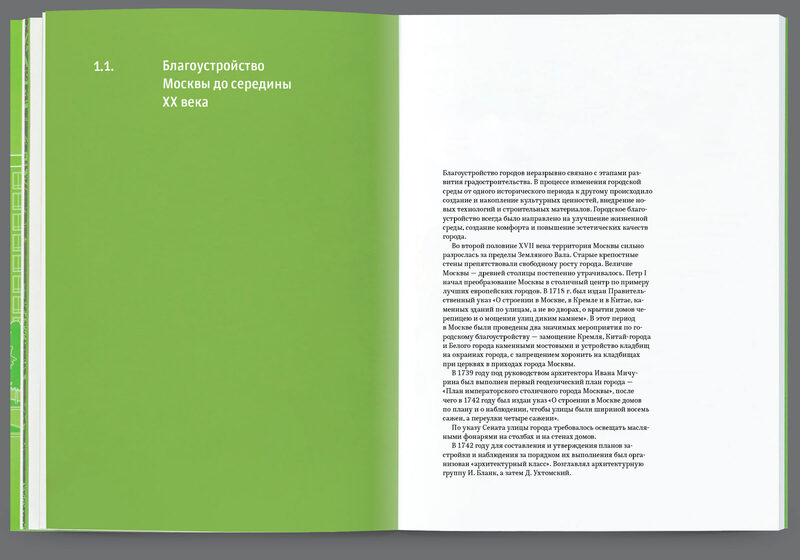 The architects’ elaborations were presented in the form of a beautiful and informative book designed at the studio. The architects have thoroughly investigated the problem: they explored the history of the issue from the ancient times and studied the experience of other countries. 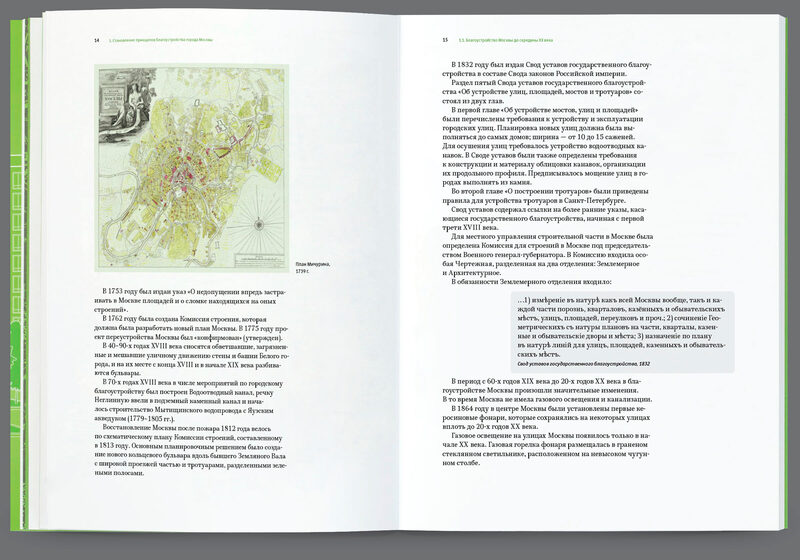 The first chapter of the book talks about the first steps in city planning made by Peter the Great and about the historic approach to urban planning. 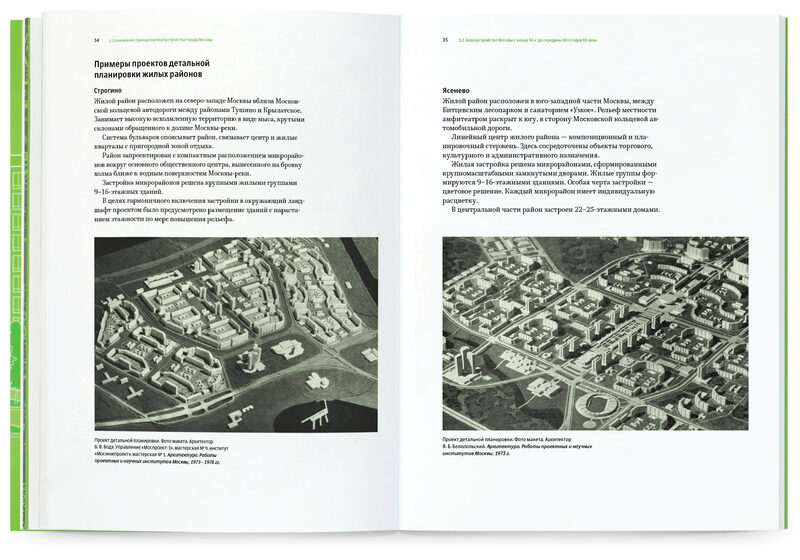 It mentions Michurin’s plan, the New and Large Moscow, Soviet architectural ensembles and the first plans for standard development of residential areas—all important milestones in the city’s history. 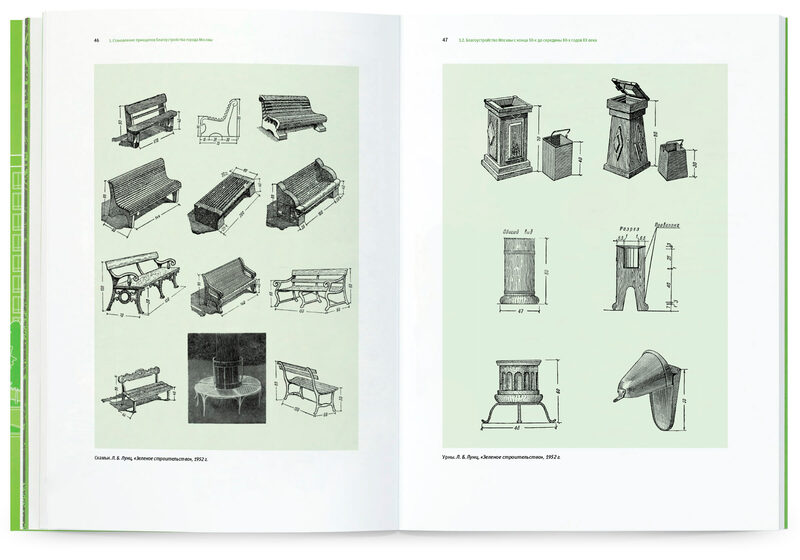 Interesting illustrations from reference books of the past were carefully scanned and presented in their original form. No less fascinating are the real examples of modern residential complexes with their courtyards, gardens, children’s playgrounds and sports grounds. 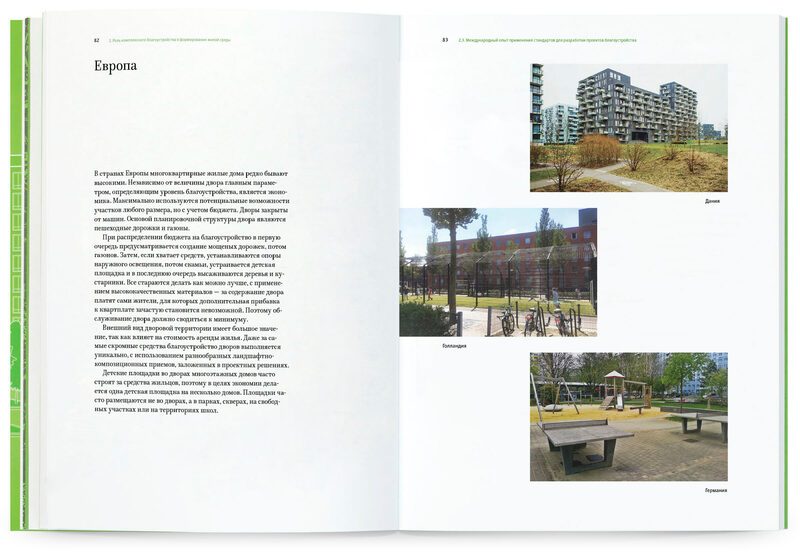 Photos in the second chapter of the book confirm that urban planning does not merely exist as a theory but is actively applied in real life. It also mentions the experience of other countries as it’s always interesting to compare the standards in use in the UK, Australia, the United States and other countries. 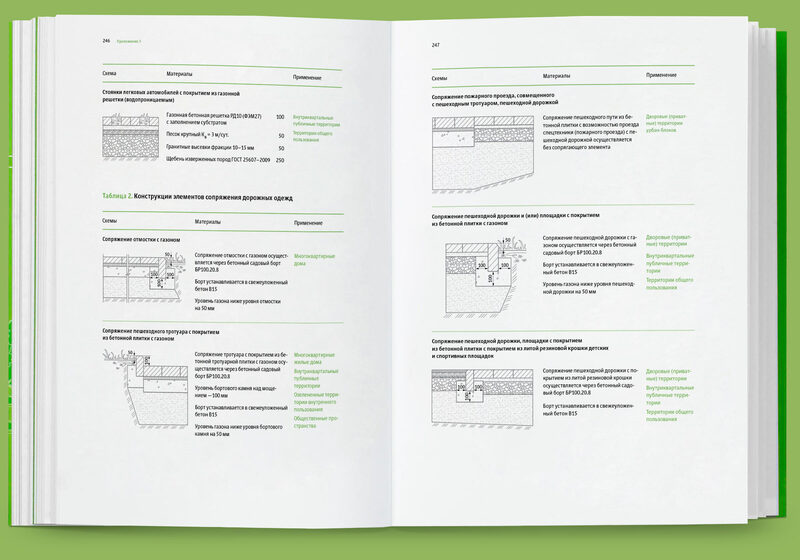 The third chapter is devoted to new ideas on improvement and renovation. They are based on special principles: delicate integration into the environment, maintaining a coherent architectural image, thoughtful landscaping, convenient access to transportation and social infrastructure and so on. 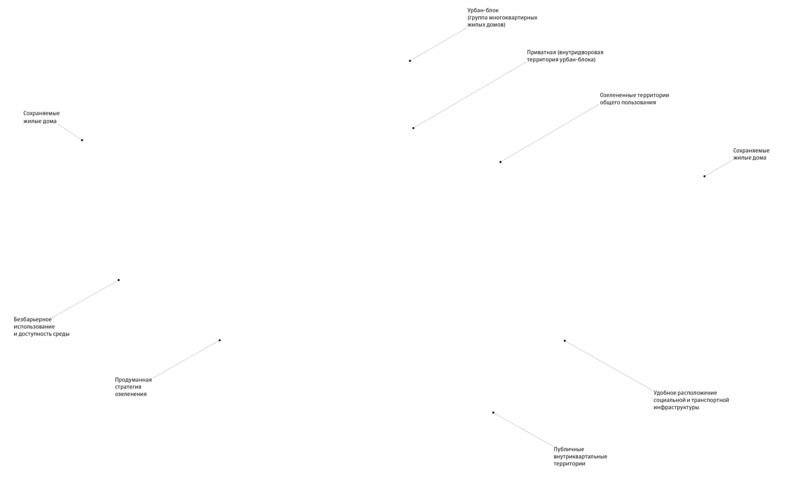 Detailed images were created to illustrate the modern approach to city planning. 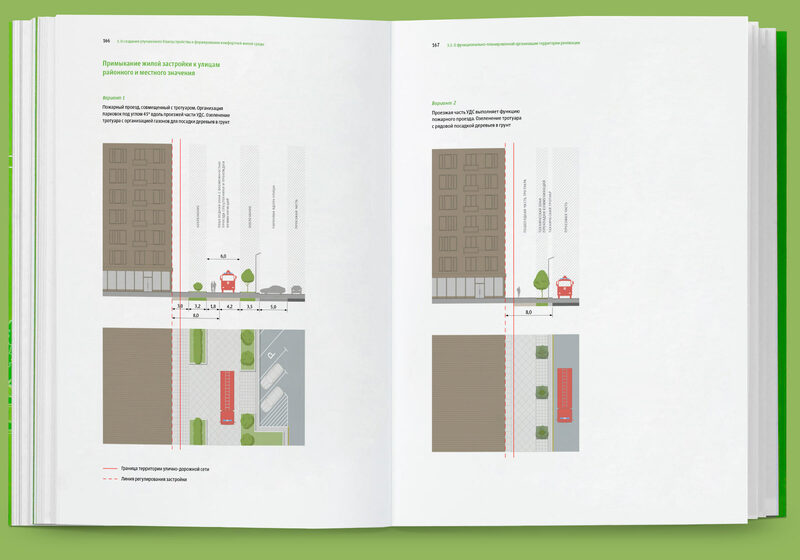 The book explains how to arrange lawns and gardens, how to design parking and how to organize dog parks. All the ideas are accompanied by comprehensive drawings. 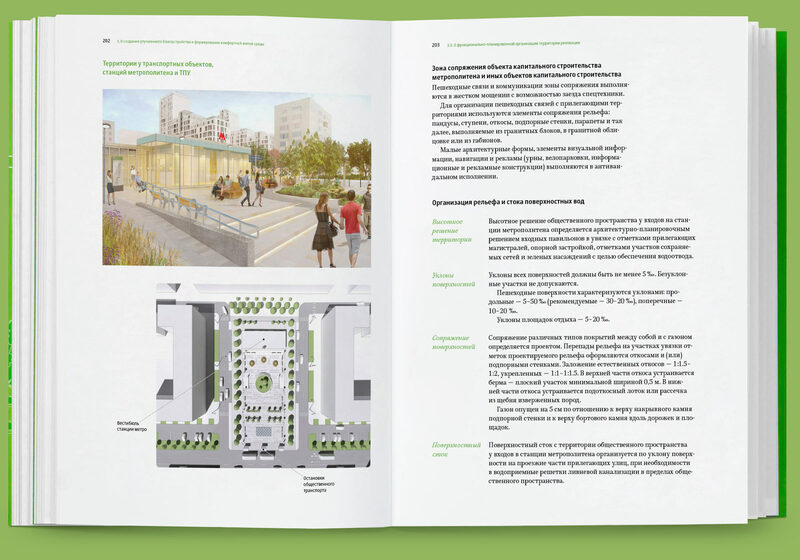 The aim of the book is to involve the architectural community in the discussion of city planning issues in the new reality and to introduce Moscow’s experience to architects of other cities so that Novokuznetsk, Tambov and Yoshkar-Ola can also have modern areas where people can enjoy living, taking walks with children and dogs, shopping, playing sports and relaxing.